PA Chairman says he plans to move ahead with his latest unilateral UN move and if all else fails, he will hand the keys to Netanyahu. Palestinian Authority (PA) Chairman Mahmoud Abbas has once again threatened to cut ties with Israel if his latest unilateral move at the United Nations (UN) fails. Speaking on Monday to reporters in Cairo, on the sidelines of the international donors’ conference on rebuilding Gaza, Abbas declared that his talks with U.S. Secretary of State John Kerry did not bear fruit and that the PA intends move forward with its plan to turn to the UN Security Council to set a deadline for Israel to “end the occupation”. The draft resolution that Abbas plans to submit to the Security Council will reportedly call for Israel to “end the occupation” by November of 2016. The move has been backed by Russia, as its deputy foreign minister announced on Sunday. 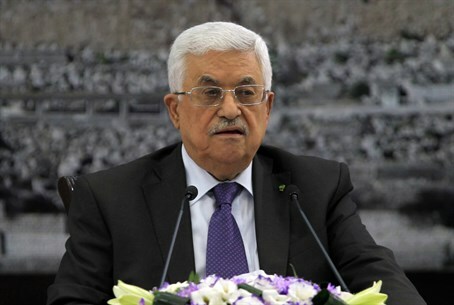 In his comments on Monday, Abbas also told reporters that the reconciliation with Hamas will not be completed before parliamentary and presidential elections are held. He said that the Palestinian Arab unity government operates in Gaza, but admitted that "Hamas is still in control of the situation on the ground" and that "there is no future for a place that half of which is militias, and this situation will not change unless elections are held."